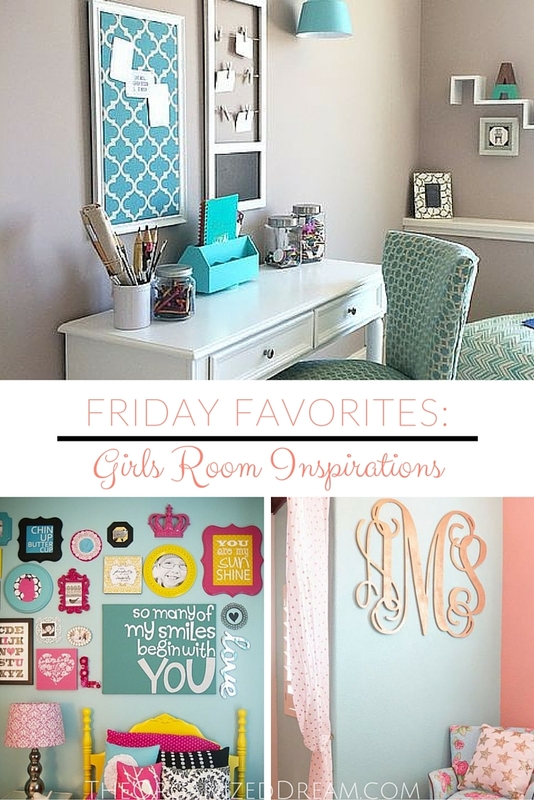 This month, I wanted to focus my Friday Favorites posts to a room a week that I have found inspirations for. I ultimately would like to 'jazz' up these areas and sharing my thoughts with you seemed like a good idea! I really love the idea of gallery walls in general. I believe it is one of the best ways to decorate a large space to add the maximum amount of drama and interest. I really like this one because it is colorful and targeted towards a more mature ideal for a 'big girl'. I'm not sharing this for the love of turquoise even though it is fabulous. 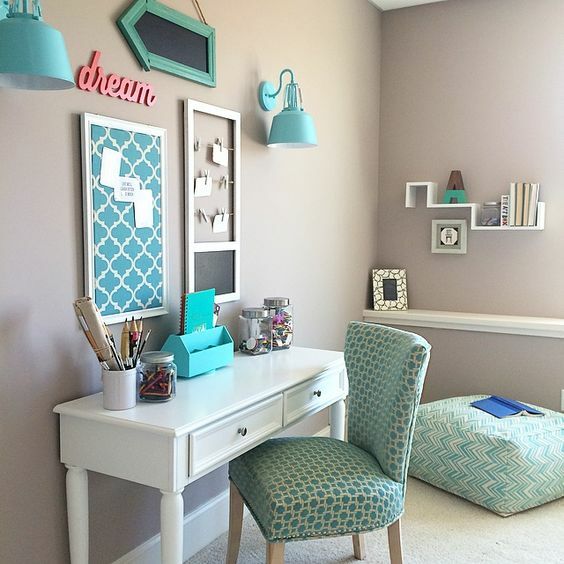 I'm sharing it because my daughter has a desk in her room and it has always been a little tough to figure out how to maximize it's usage and organize the space to it's fullest. I really like the way the cork board is set up on the wall and has other things to sort of fill in the space that is decorative and functional. 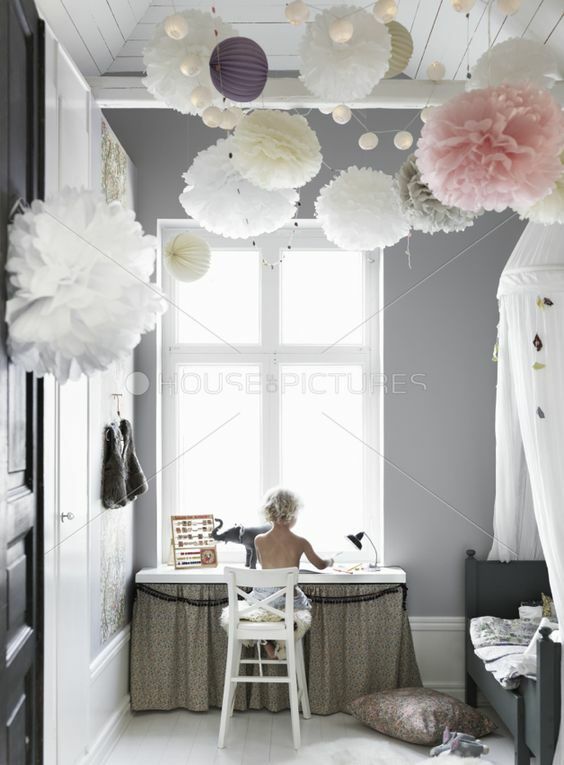 I have always loved the look of pom poms hanging from the ceiling. I have a few hanging in her room right now, but in the future I may want to do them out of tulle since the paper pom poms tend to fade faster in the sun. I really like the way these look although I may not go too crazy with them and hang them across the entire ceiling. This is probably something that would be the easiest to do because, unless you're a crazy lights person, it shouldn't take long at all to string a few stands of lights. 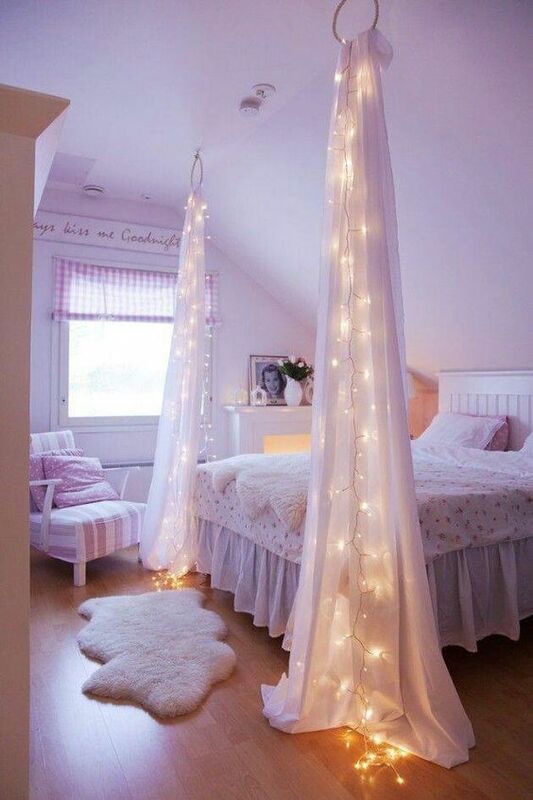 Best idea I've had yet to do this is to buy a bed canopy and sew them along the tulle to the end and plug them in from there. It would be like a fun nightlight. Right? I've never been too much into the preppy style until recently. 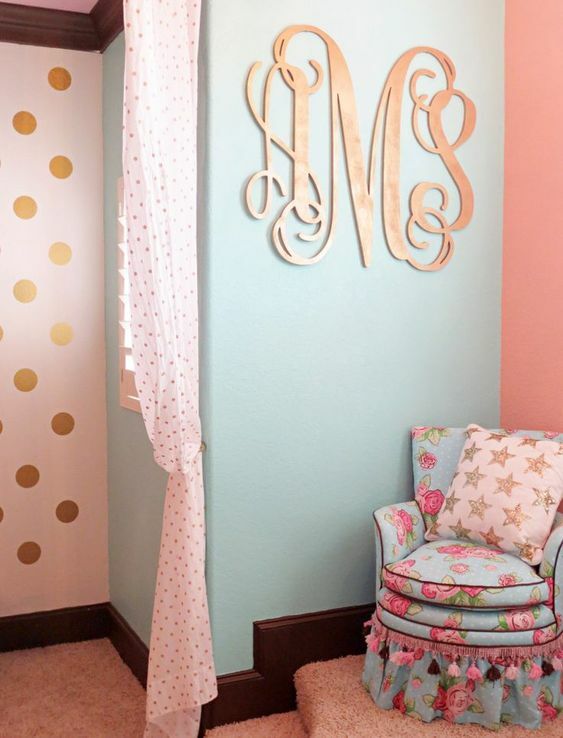 Monogramming, however, has always been one of my favorites because it is the ultimate way to personalize a space. 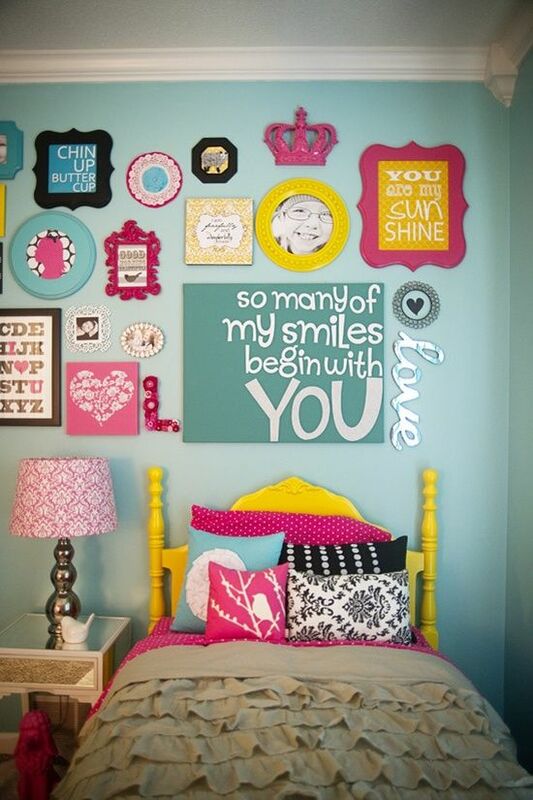 My daughter already has her initial hanging above her bed, but this would be even better! There are plenty of people who sell these on Etsy, but I have yet to come across one that isn't drastically overpriced so if you know any, please let me know in the comments! Thank you so much for stopping by this week. Do you have any other ideas that you think I'd like? Maybe even a post to share? Toss it into the comments. I can't wait to see what you have to share! I love the gallery way! I need to get going on my daughter's room! thanks for the inspiration! I put little hooks into the ceiling to hang a sheet like a canopy over my daughter's bed. It had the same fancy effect as curtains on a four-poster bed when she still needed a toddler bed. The lights on the canopy are just beautiful. I love all of these bedroom ideas. Thanks so much for sharing with us at Funtastic Friday. I love the choice of pictures and the bright pops of colour on the gallery wall. All such pretty rooms! So glad you shared with us at Merry Monday. The desks/dressing tables are my favorite.